CBD oil is best to use topically to treat skin issues. Studies show that CBD oil has the potential for treating skin conditions like acne, wrinkles and redness. Cannabidiol (more commonly known as CBD) is a chemical compound in marijuana that has become the hot new product for relieving aches and pains when applied topically. In the recent years, CBD oil has been marketed in skin care products for variety of things from acne to wrinkles. But is any of that possible, or is just a hype? Here are the most significant facts you need to know. First and foremost, CBD oil is not harmful so it wouldn’t get you high. It does not have any mind-altering properties of marijuana tetrahydrocannabinol (THC) content. THC and CBD are sourced from two different portions of the marijuana plant. Another important thing you need to know is that CBD oil is not the same thing as hemp oil. These two are different from each other and are marketed interchangeably. CBD oil is richly concentrated in cannabidiol. On contrary, hemp oil only contains little amount of cannabidiol. In order to ensure that you are actually buying CBD oil, always look for cannabidiol or cannabis sativa seed oil on the ingredient label. There are several CBD products available in the market for treating different types of problems. The most common products include CBD Juul Pods, vape pods, gummy bears, capsules, creams, and oils. Research has shown tons of benefits of CBD oil, ranging from improving skin conditions to relieving social anxiety. Recent studies clearly show that CBD oil has an anti-inflammatory properties. So the question arises that how does CBD translate to skin care? CBD oil has the ability to help calm skin, specifically acne-prone skin. Because the acne is the indication of inflammatory condition. Research shows that CBD contain soothing properties that help diminish breakouts and reduce blemishes. Amazingly, recent finding also indicates that CBD has the potential to reduce excessive sebum (oil) production that can be the biggest cause of acne. This beneficial CBD oil also help offset other triggers of acne. Although, far more conclusive, more scientific studies are required, but CBD’s potential as a great acne solution is really impressive. According to scientific researches, CBD oil has antioxidant properties. The recent research also indicates that an effective CBD oil can reduce the visible signs of aging skin. By eliminating inflammation and offsetting free radical damage, CBD anti-aging products may be able to help visibly lessen the skin problems such as wrinkles, skin dullness, and ruddy skin complexion. 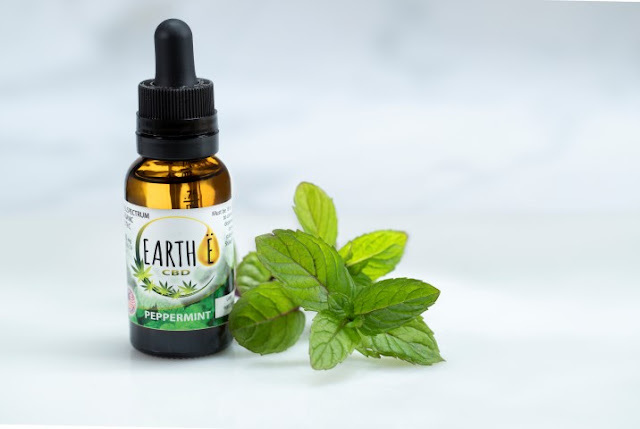 There are plenty of other antioxidant products in the market that are making the same claims so we can say that CBD is not only the super antioxidant to seek out, but still many people are consider using CBD because of its several skin benefits. Another important advantage of CBD oil is that it is the best oil for soothing skin. Research also indicates that CBD has the ability to inhibit certain triggers of disorders such as psoriasis and improve eczema-prone skin. Still, far more research is required, but existing benefits of CBD look promising. CBD is not only popular in reducing anxiety and depression but also popular because of its substantial skin-calming and skin-normalizing effects. oh wow I didn't know this! Great information!